The 29-year-old Chilean suffered the injury in training on Thursday. Sanchez is yet to have a scan to determine the extent of the damage but Mourinho said he was “screaming” in pain. “It is not a little muscular injury from which he will be ready in a week or 10 days,” he added. Mourinho says it is more severe than the hamstring injury defender Victor Lindelof has suffered. The Sweden international, who was injured in Saturday’s home draw against Crystal Palace, is expected to be out until the festive period. 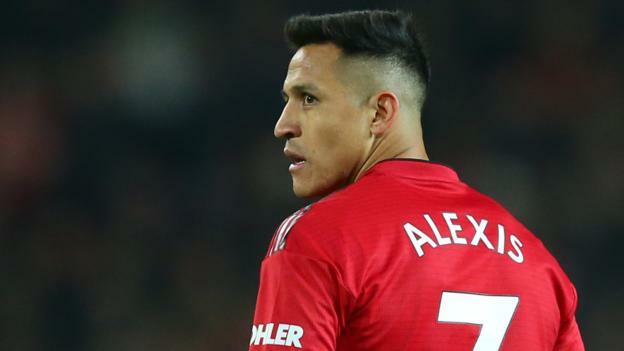 On Sanchez, Mourinho added: “It is an aggressive muscular injury. He has not had a scan yet but the player is experienced. He knows what the injury is. Mourinho also said he was pleased to see midfielder Marouane Fellaini getting credit for his recent performances. The 31-year-old Belgium international scored a stoppage-time winner against Swiss side Young Boys on Tuesday to send United into the last 16 of the Champions League with a group game to spare. “Everyone knows he is not Maradona – but everyone knows what he is and what he can give,” said Mourinho. “He scores important goals in important moments that give you important victories. “I know the positions he can play and the jobs he can do. Third central defender, striker, number eight, which is where he has more balance and know-how.